In all of the relationship surveys we've conducted over the years, bad communication is one of the top reasons (if not the top reason) why couples break up or get divorced. And when relationships crash and burn, it's very often because of one of 4 communication mistakes we talk about below. The question is--How big of a problem is communication in your relationship? Do you wish you knew the right words to say to your partner or spouse BEFORE you said something that would cause the two of you to become disconnected and even more distant? Do you ever struggle to find the right words to say to your partner to explain yourself and your feelings? Do you find yourself in the middle of a fight with your partner and you don't know how or why it happened--or what to do about it? Do you want to feel more understood by your partner? Do you wish your spouse or partner would openly and honestly talk to you and not withdraw? Do you wish you could "Stop Talking On Eggshells" and feel like you could say anything to your partner without fear of what they were thinking, what they might say or how they might react? Do you wish your partner followed through on what they said they would do? If you answered YES to any of the above questions, communication is definitely a problem in your relationship and believe us--you are not alone. 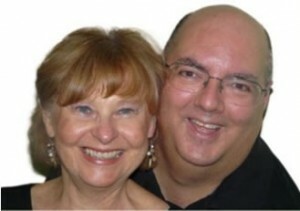 Hi, it's Susie and Otto Collins and we're happily married Relationship coaches and authors. We've know how hard it can be to try to get your partner to understand your point of view when all you're doing is fighting, putting each other down or shutting each other out. 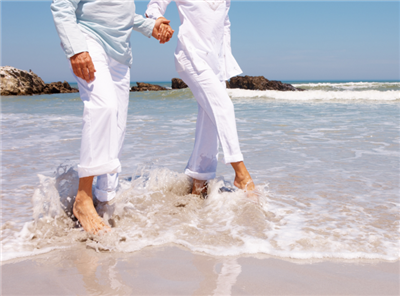 We know because we've been there in our previous marriages as well as in our marriage. Before we got together, the two of us had been in marriages to other people that lasted for many years. After divorcing from our previous spouses, we found each other and discovered that our love was deeper and we were more connected than we ever had been in our previous relationships. Since we could honestly say that we made just about every communication mistake there was in those previous relationships, we were determined not to make those same mistakes in our shiny, new relationship. The truth is that we DID make those mistakes (and more) and it could have cost us our relationship if we hadn't been so determined to learn how to communicate for lasting love, to practice what we learned and then teach it to others. Susie remembers when Otto's "tone of voice" triggered feelings of not being good enough inside her--and as a result, she became defensive and what he called "controlling." Then he'd get defensive and angry--rebelling against being "controlled." Otto remembers feeling like he couldn't win an argument, just like with his previous wife and this went on and on. Well you get the idea that it wasn't a pretty picture--and very damaging to our relationship. With a lot of study, practice and trial and error, we've learned what to do to not get so defensive when our partner says or does something that triggers us so we can stay open to one another. We've learned which words and phrases to say that open our partner instead of pushing him or her away--and which words help to regain our deep connection with one another. We know that communication can make or break a relationship and we want you to benefit from what we've learned and practice everyday so you can have the love you've always wanted as well. The truth is that we all make communication mistakes and if you can catch these mistakes early as you're about to make them, your communication will improve and you'll feel closer and more connected. To give you a taste of what we mean, here are 4 big communication mistakes that you may be making right now, along with our suggestions for creating great communication..
Communication Flop #1 You Do What We Call-- "Talking On Eggshells..."
Most people don't realize this but one of the biggest reasons intimacy breaks down is NOT conflict but rather it's AVOIDING the conflict. In our work, we call this "talking on eggshells"--and if you're going to create a closer connection, you have to stop doing it. "Talking on eggshells" is when you're afraid to say what you're feeling because of your partner's reaction. The two of you haven’t learned how to stop when there’s a problem and calmly look at it together and figure out how to resolve the issue without getting defensive and moving into gridlock. We think of it as staying clean with each other: no withholds, no half-truths, no drama, just honestly thinking and talking it through. Most people get fearful of what their partner might say, do or how they might react if they speak their truth and tell them what they really think or how they really feel. So they don't. Holding back only creates resentment but you have to learn how to say it so your partner listens and understands. Caution: Most people who decide they've "had it" with "talking on eggshells" and want to start exercising their personal power very often make another BIG communication mistake--they go overboard with their intention to "speak their truth" no matter what and actually become hostile, belligerent and un-cooperative. This also does more harm than good to your relationship as you can imagine. Many people are oblivious to the words they use (as well as their tone of voice) and don't realize that these words and phrases are said from habit (and past experiences) and are damaging their relationships. Believe it or not, there are "magic" words and phrases that create closeness and connection--and there are words and phrases that push the two of you apart. "You (or we) need to do _______"
Otto had a coaching client recently who said this to his wife in a coaching session and Otto pointed out to him that this was a statement not the question he thought it was. In using those words, the man was assuming his partner wanted to do the same thing he wanted. She didn't. In fact, she felt like she didn't have any say in what was being discussed and that her thoughts weren't important. Even if that wasn't this man's intention, that's the meaning his words conveyed. On the surface, this seems like such a small, inconsequential thing but it isn't. When communicating with your beloved (or anyone else in your life) you want to avoid using any words or language that kills openness and connection. This man didn't do that. One of the biggest problems couples face, especially when they've been together for many years, is that they know everything there is to know about their partner. They drift into thinking they have nothing to say to one another except asking and answering logistical questions about their everyday lives--like "Can you pick up Sally at 5 today?" They assume they know what their partner thinks, feels or wants when they really don't. When this happens, boredom, distance and discontent seep into the relationship and one or both people wonder "Is this all there is?" This kind of relationship is ripe for cheating and affairs but it doesn't have to be this way. Our "5 Minute Magic" technique is a quick and easy way to get your partner to open up and willingly talk to you about what's important to them instead of just "going through the motions" in your relationship. One part of the "5 Minute Magic" technique is to ask what we call "one question deeper." In most people's intimate relationship, they let precious opportunities slip by to find out more about how their partner thinks and feels. They instead, rush on to try to fix him or her--or even worse, tell them something about themselves and ignore what their partner just revealed. What you want to do is communicate in loving, open ways that help your partner stay open to you and at the same time help both of you to feel respected and loved. Asking questions from an open, loving place and going "one question deeper" than you normally would ask is a great way to find out more about what's going on in them and help the two of you get closer and feel much more connected. One of the strangest phenomenon of relationships is how we try to manipulate or change the people we say we love. We mistakenly think, "things would be so much better if they were only more like me" or "things would be so much better if they would do things the way I want..."
And then, in the name of love, we develop a whole variety of really interesting (and sometimes not-so-healthy) ways to manipulate, guilt-trip and persuade others to give us what we want even if it isn't necessarily what they want. We do this and then we wonder why they "push back," rebel or resist opening to and loving us. If you or your partner are accused of being controlling or manipulative, one way to get out of that communication minefield is switching your attention to being curious and open to what they want as well as what you want. Most of us get controlling and manipulative when we don't think we have a choice in the situation, we think our partner won't do as we want and we think we won't get our way. When you commit to staying open and curious, your partner stays open and you both have choice. When you stop doing the mistakes we just talked about and start doing what will bring you more of what you want, the possibilities for more love and deeper connection will be there. When you begin experiencing the kind of deep, profound love that we know is possible for you, you'll start to think it's magic. In fact, when some people begin making the shifts in their communication that we're talking about, they start to think that perhaps a "Miracle" may have happened to them. When you and your partner start to talk openly and honestly when you've been shut down for years. When you're able to say what's in your heart and your partner listens when they didn't use to. When you and your partner actually have fun together again. When the words you use help you and your partner come to an agreement instead of fighting. When you and your partner feel more romantic toward one another than you have for a long time. The "Communication Magic Toolkit" is your roadmap for communicating, connecting and creating a lifetime of love. We've taken 8 of our most powerful programs and combined them into one toolkit to give you the best strategies ever created for improving communication and connecting at a heart, mind and soul level. This includes our best-selling book and two audios. You'll get our "Magic Words Mindset" which is the thinking behind communicating from your heart. You'll get the exact tonality, body language and attitudes you're going to need to know to make sure all the other parts of you are congruent with the new words you're going to be using. Next, you'll get one word, phrase or sentence-starters that can work like "magic" for you in your relationship. You'll see examples of these words and phrases in action so it's very easy to see how to use them to apply to your situation. You'll get the answers to specific questions about how to build trust using "magic words." This includes our book and four audios. You'll get everything you need to know in order to stop being afraid to speak what's on your mind and start connecting with your spouse or partner in a whole new way. You'll get practical, step-by-step instructions on how you can talk to your partner or spouse about anything without fear about how they'll react or what they'll say, think or do. You'll be guided through looking at your situation with new understanding and you'll learn specific strategies for learning to trust yourself, making conscious choices instead of reacting, speaking your truth from your unfulfilled or unspoken wants, needs or desires and making requests that are able to be heard and understood--and most of all, how to communicate with ease. You'll get 500 bite-sized, practical and easy-to-do tips for how to communicate better, more intelligently and from your heart with yourself first and then with your spouse, partner, or lover, as well as the other people in your life. These 500 tips are distributed over 40 categories that are the major challenges that you may be facing around communication. These new insights can get you and your partner back to a place of feeling love and connection. 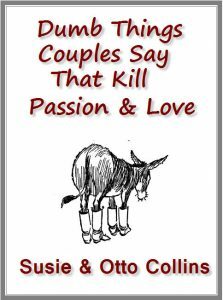 In this special report, you'll get to look behind the scenes into the lives of 77 people who answered our recent survey about "dumb" things a spouse, partner or lover said to them that killed passion and love. You'll get our comments about what to do if your partner says these "dumb" things to you. 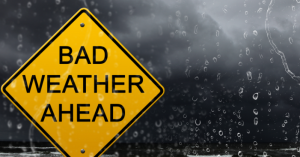 While this report is meant to be both funny and light, it's also a warning not to use them with someone you care about if you want your love to live and grow. This technique is a powerful shortcut for you and a partner to increase communication, connection and intimacy in a very short time each day. This program includes three audios. If you're in a relationship with someone who is distant, standoffish, aloof, disrespectful, non-committal, emotionally unavailable, cold, or wishy-washy these audios are a must. If you have a hard time staying open yourself during conflict, one of these audios gives you specific strategies to help you not get triggered. This program includes two audios and an action guide. You'll get solid, practical advice on how to stop the bleeding when you're in a relationship crisis. In these 2 audios and an action guide, we take you through a 10-step process to guide you through stopping what's killing your relationship and get back to loving. This program includes two audios. You'll get down-to-earth ways to encourage your partner to listen to you. You'll learn how to get even the most closed-off, distant or annoyed spouse, partner or lover to listen--truly listen to you (and actually enjoy it). If there are certain topics that you can't talk about without arguing or fighting, here's how to talk about them in an open, honest and loving way. You'll get scripts to help you talk about money, infidelity, jealousy, relationship commitment and past relationships. You'll learn how to make requests of your partner that are heard and actually completed. How to tell if this "Communication Magic Toolkit" is for you..
What we're offering here is a breakthrough program on how to communicate, connect and create a lifetime of love. The communication tips, ideas, insights and strategies are absolutely cutting edge. NO ONE else is teaching the kinds of proven, practical, real world, tried and tested communication ideas that you'll find in this toolkit. If you want to learn the secrets to communicating and getting a spouse, partner or lover to open to you, communicate with ease and love and free of drama and conflict--then you'll love the things we share in this toolkit. This program will require you to put forth a little effort but with what you'll learn about how to communicate, you'll be able to take a HUGE shortcut to communicating and connecting (or reconnecting), with even the most cold, distant and withdrawn partner. If you want to break through any blocks, barriers or limitations that may be holding you back from communicating with the love of your life--then THIS "Communication Magic & Miracles Toolkit" of ours is for you. If you are open to some new ideas and trying a few new things that you may not have tried before, then this program is certainly for you. On the other hand, if you don't have the connection that you truly want, you've decided to give up on making things better and be content to do nothing differently--then you should probably pass on this program and continue doing what you've been doing that hasn't seemed to have worked for you as well as you've liked. What makes "Communication Magic Toolkit" different from any other program? What makes our "Communication Magic Toolkit" different from any other communication program available is just how practical and immediately useable this information is. We've read, looked at and studied hundreds of other books, audios and courses on relationships and communication and what people tell us time and time again about our work is how easy it is to understand and apply what we teach in their own relationships and lives. While we do give you the theory and the "why" behind these strategies and how they work so well, what we share in the toolkit is very practical and not just theory. You can start using these techniques where you are (no matter how bad your relationship is) and start seeing dramatic changes in your communication and relationship for the better right away. "Why would this work for my relationship?" What we can tell you about the tips, ideas and strategies we offer in this toolkit is that they have been proven to work not only in our relationship but in the lives of our coaching clients as well. In our own relationship, we feel that even though we consider ourselves to be soul mates, if we hadn't learned how to communicate and connect using the kinds of tools we're talking about in this toolkit, our incredibly beautiful and passionate love affair that's still going strong (now in our 16th year) may well have met the same fate that our first marriages did. When other people apply what we teach in their relationships, it's the same thing. She said-- "Our relationship is now much more relaxed again and there aren't the extremely tense situations. We enjoy spending time with each other. We have both learned that the stories we told ourselves about each other were completely wrong. It has enabled us to have more respect, compassion, and appreciation for the other." Nothing is more critical to the success and happiness of a relationship than communication. This toolkit will show you how to quickly and easily communicate and connect with your spouse, partner or lover in new ways to build trust, closeness and intimacy that will last a lifetime. If you don't think you can make big shifts and changes in your relationship just by learning some new communication skills--you can--and this program will prove it to you. Why should I buy the entire program when I can purchase just 1 or 2 of the programs that I really want separately? These 8 programs have been especially selected to cover the most common communication problems that couples have and if you go through all of them, you'll get the tools you need to communicate and connect like you've always wanted. 1. 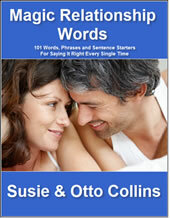 "Magic Relationship Words" teaches you the specific words to say to communicate what's in your heart. 2. 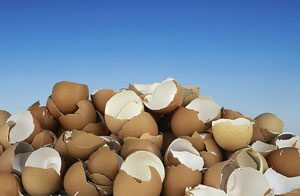 "Stop Talking on Eggshells" shows you how to make requests when you haven't been able to say what's on your mind. 3. "500 Communication Tips and Secrets" gives you 500 short, practical, easy ways for you communicate for more love and connection. 4. "5 Minute Magic Technique" shows you a simple, straight-forward way to start communicating without fighting on a regular basis if you haven't for awhile. 5. "How to Get Your Partner, Spouse or Lover to Open to You" teaches you how to get even the most stubborn person to open up to you. 6. "Stop the Bleeding" program gives you clear strategies when you think your relationship is falling apart on how to put it back together. 7. "7 Keys to Getting Your Partner to Listen to You" is especially created if you have a partner who doesn't listen. These strategies will help you to feel respected and heard. 8. "Stop Pushing Each Other's Buttons" is included to help you stop the destructive patterns that push the two of you apart so you can find your love again. Your satisfaction is assured through our no risk, you-can't-lose, 100%, no questions-asked money-back guarantee. If for any reason, you aren't completely satisfied with your purchase, just let us know within 60 days and we'll refund 100% of your purchase price. We have a very simple belief about love, romance and relationships that is radically different from most people that we hope you'll embrace, even a little bit. If you do, we think it could change your relationships and life forever. This belief is that love, passion, romance and the spark NEVER has to die in your relationship or marriage. The term we like to use for couples like these is "close and connected." What's great about this is that you and your partner, spouse or lover will be MUCH closer and more connected when you use what we teach you in this program. We believe that there are some very simple things that you can do to communicate in more loving ways that keep the love, passion, romance and spark alive forever. That's why we urge you to take advantage of this special offer now while it's still available. If you've read this far, we're thinking that you're someone who really is interested in more from your relationship than you have right now and you're willing to be open to some new ideas to create something better. Download our complete "Communication Magic Toolkit" now and start going through the information right away. This will be like having us whispering in your ear and coaching you on the right things to say and do to communicate and connect when it counts the most. Now is the perfect time to take advantage of the fact that we've spent years putting together the best collection of communication tools, tips, ideas and strategies that you'll find anywhere, along with easy instructions on how to use them and apply them in your relationship and life. The value of everything you're getting in our "Communication Magic Toolkit" is $397 but you're going to get it for a one time charge of only $197.00 or you can make 3 payments of $65.67 (your choice). Bonus #1 -- "21 Words, Phrases and Sentences to NEVER Say To Your Partner, Spouse or Lover"-- In this special downloadable bonus in .pdf format, we're giving you a list of 21 of our top words and phrases to NOT say to your partner if you want to have a close and connected relationship filled with love, respect and kindness. Bonus #2--"10 Communication Mistakes Most People Make In Their Relationships and What They Can Do To Fix Them" -- This special report by Susie and Otto contains the master keys on how to start improving communication now with everyone in your life. This 21 page downloadable special report is in pdf format. 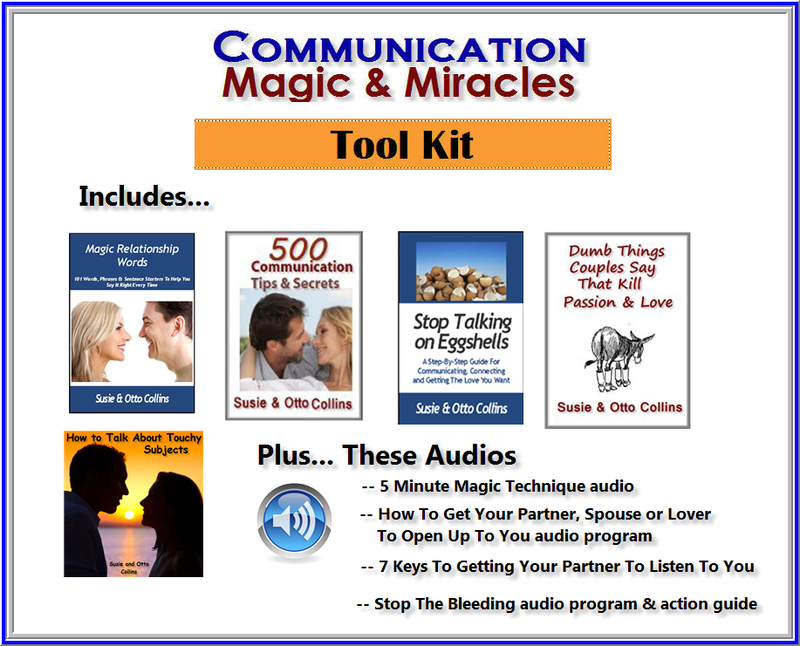 Warning: This "Communication Magic Toolkit" package that includes the books, the audios and terrific bonuses is not available in stores anywhere. The only place you can get it is here on our web site. Click the "add to cart" button below to download the complete "Communication Magic Toolkit" now... and you'll be on your way to creating instant breakthroughs in your communication, not only with your partner or spouse-- but the other people in your life as well. P.S. Remember, this "Communication Magic Toolkit" is not available in stores anywhere. It's only available as a downloadable package here on our web site. Don't put it off. Order now and you'll be taking that all important first step towards knowing exactly how to communicate, connect and create a lifetime of love. "This should be required reading before marriage." "Your tips and suggestions were really helpful to me. This should be required reading before marriage. Thank you." "Helped me to improve my relationships..."
"I purchased both 'Stop Talking on Eggshells' and 'Light Her Up.' I found both to be enjoyable to read while providing me usable understanding that helped me to improve my relationships." "Your articles helped save my friends' marriage..."
"Your articles helped save my friends' marriage. Unfortunately it was too late to save my own. They are thankful that I know what to do, when to say things and when to let things drop. This has all come from your articles. I was the only one to put the pressure on them to 'save their marriage' everyone else encouraged them to split. I thank you for the positive encouragement and the tools to make all of us better people." "After my divorce, I wasn't completely sure about entering another relationship again. With your articles, tips and books, I was able to see what changes I needed to make and learn to appreciate men in a whole different light. Truly are great men out there. My life is full of excitement and it's because I took time to read and make my own changes ... it's very rewarding." 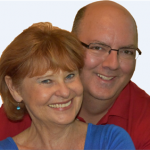 "I have really enjoyed not only the Magic Relationship Words book, but also the mini course. The series and book helped me think about how my words and attitudes could be perceived or misconstrued by my partner, and how to more effectively communicate how I'm feeling or what I'm thinking without making the situation worse. "I'm generally considered to be a kind, considerate person but this is a new relationship and I'm still learning his triggers and communication style. "Your products really helped me put myself in his shoes in a more productive way. Thanks a lot for the help!"